What a “labor of love” in creating this article. The women seated in wheelchairs have rolled to the top of their highest mountains. They are some of the strongest women on this earth and NOTHING stops them. Next time you encounter a woman in a wheelchair think, “What is she all about and how has her life impacted others in a positive way?” Never underestimate a woman in a wheelchair because you will be astonished by what that woman has done since her life-changing incident.They are major go-getters, major winners, and major champions in their lives. I have found lawyers, nurses, writers, artists, students, engineers, models, mentors, bloggers, volunteers, designers, you name it and I found it……all while sitting in a wheelchair. That chair is only our mode of transportation but the true individual and talent is the one sitting in the chair. The chair doesn’t define us; it only made us 110% stronger as women. We all started out the same but some catastrophic event placed us in a chair but that was only the start of the climb. Once we started up the mountain there was no stopping us. These women are the strongest women on the face of the earth. Don’t let the wheelchair fool you. Fact is only 18% of spinal cord injuries are women but there is a lot of FEMALE FORTITUDE sitting in that chair. Researching the material on becoming a parent while spinal cord injured and being spinal cord injured (SCI) myself, I wanted to include every bit of information I could find. 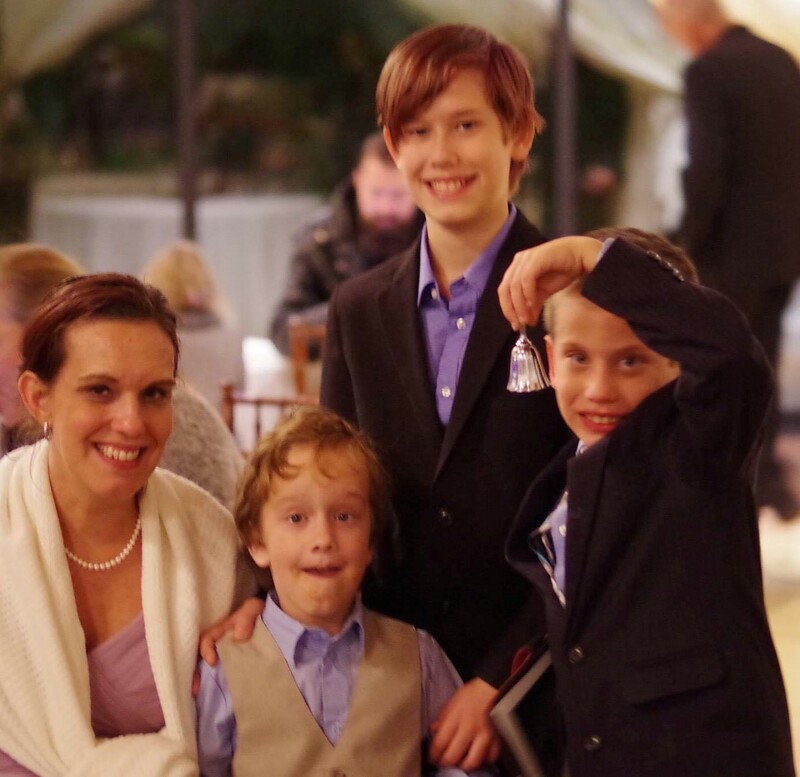 I have had children, two sons, and I went through pregnancy and delivery b.a. (before accident). Being a previous Labor and Delivery nurse, I knew the pertinent medical content that I wanted to include but after some thought, found it necessary to organize and funnel my knowledge to this particular subject, and compare and contrast it to spinal cord injured women. By revisiting this subject from a new perspective, I have had a total BLAST with this topic. It was so much fun posing questions to my friends and sifting through the responses. However, through researching the information of each topic, I found there is very little material on the subject of pregnancy after spinal cord injury and because of this I have included all of the articles that I reviewed, in the references. By turning to my friends who have had children after their spinal cord injury to assist me with this article, I realized there are so many ways for a SCI person to become a parent. Andrea, Katie, and Priscilla share their stories of being paralyzed and becoming pregnant. If pregnancy does not appeal to you as a SCI person or it just may not work, there are many other options such as adoption or surrogacy. We will explore each opportunity and it will be up to each of you to choose your best method. Wanting to be a mother for many years and attempting to conceive for six years, I found out I was pregnant with my daughter on Valentine’s Day 2013. After experiencing the recent passing of my father, I was elated with the news of pregnancy. My only tell-tale side effect of pregnancy was the extreme nausea. 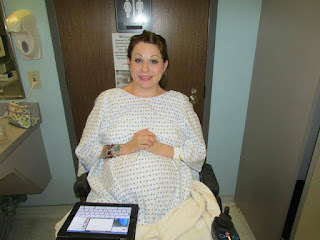 All went very well until approximately 20 weeks gestation when I started to frequently experience issues with recurrent urinary accidents and autonomic dysreflexia(AD) due to my expanding uterus and her fancy foot work. My 3rd trimester was more difficult due to autonomic dysreflexia, including cold sweats, high blood pressure, and urinary tract infections that required me to be on daily antibiotics. Antibiotics quickly became resistant to the “bad bugs” and needed to be changed frequently. At 32 weeks gestation, I experienced extreme AD which triggered preterm labor. Having an excellent obstetrician in high risk pregnancy, my physician was able to control the AD and stop my labor. I remained hospitalized with constant monitoring until 35 weeks and discharged home on bed rest until 38 weeks. On the morning of October 14th, 2013, I anxiously arrived at the hospital for an induction of labor. Labor progressed but complications with my daughter’s heart rate quickly led to an emergency caesarean section but my beautiful baby girl was born at 7:19pm at 38 weeks. She just celebrated her third birthday and she continues to be the light of our life. She is a happy, thriving little girl and we are so blessed to have her in our lives. 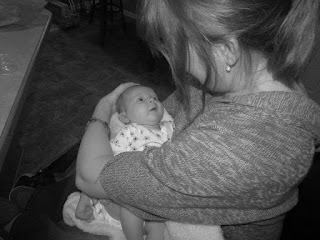 As a Labor and Delivery nurse in my past life, I relish everything about pregnancies and babies. I interviewed several of the women who had babies after their SCI occurred. Amazingly, pregnancy and SCI seem to go very well hand in hand if….#1. Your OB is on board and if not, you can find one that is, #2. You have an astoundingly strong support system, and #3. You are totally aware of your body and its signs and symptoms of ANY disturbance. 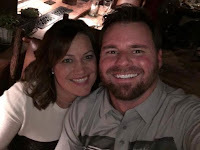 The two big symptoms that occurred throughout most of their pregnancies were Autonomic Dysreflexia and UTIs (urinary tract infections) both of which I suspected. Keep in mind, not all pregnancies go according to textbook. Pregnancy can be difficult whether or not you are paralyzed. The body still reacts to pain even when paralyzed. Autonomic dysreflexia (AD) is a condition where the involuntary nervous system overreacts to external or bodily stimuli for any person spinal cord injured at level T6 and above. This next story being shared is slightly different. P & P……Paralyzed and Pregnant. This account will amaze you…..even the medical world will be aghast! August of 2002 was a month that, in my mind, will be the craziest month of my life. That was the month that our family's world would be turned completely upside down. 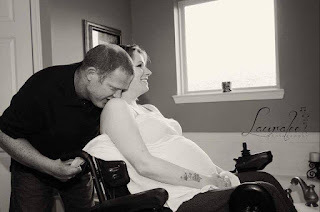 My husband was given the news of my paralysis and my pregnancy. That's right. Let’s stop there for a moment and let that sink in……Paralyzed and Pregnant. Katie’s husband was unaware of her pregnancy. He is told, not only that his wife was hospitalized following an auto accident, and paralyzed, but also PREGNANT. The vast emotions that Katie’s husband must have been experiencing must have been mind-boggling but there is so much more to her story. Let’s ROLL right into the middle of Katie’s pregnancy and continue her account. Obviously I was a "High Risk" pregnancy so I was required to have frequent physician visits. The way that I felt, sickness, and how my body was changing, baby bump, was very similar to my first pregnancy before my paralysis so I wasn't worried with how I was progressing. But at 28 weeks, my doctor wanted to check me in to the hospital to run some tests because he didn't feel that my daughter was growing as she should be. We were told because I was unable to walk or give her the necessary abdominal space to grow, she had positional club feet. So there I was, in the hospital again, 28 weeks pregnant, being hooked up to heart rate monitors and tests of that nature. After the third day of hospitalization, I woke up feeling like something was not "right". I quickly called the nurses to let them know that my body was telling me that something was different. They discovered that I was dilated to 3 cm. They moved me over to the Labor and Delivery wing and hooked me up to a continuous fetal heart rate monitor. Now keep in mind, I'm still new to the world of paralysis and still learning how I should be feeling, thinking, doing, and what I should be worried about. I am sitting in a hospital gown, in a bed, and with the covers pulled up to my waist. No one had talked with me about the things that I should be doing or checking in regards to my pregnancy. I completely trust the fact that I am in a hospital with nurses and doctors who should know what to do with the patients, specifically ME, who is high risk and paralyzed, right?! Hours later, I am starving at this point and getting completely annoyed, especially since our TV didn't work in the room. A wound care nurse enters my room to check my back surgical incision and to inspect for pressure sores. I roll over to my side at which point she asks "Is this it? Um?" She calls my husband over who immediately runs out of the room and comes back with 3 or 4 nurses. They flip me back on to my back, pull off the blanket and lift up my gown. I overhear one of the nurses say to another "She has had the baby and has lost it." What? WHAT?! But yes. There between my legs was my daughter. Bruised. Bloody. Not breathing. All 1lb 12oz of her. They immediately cut the cord and rushed her to the Neonatal Intensive Care Unit to resuscitate her. I was in pure shock. Of course I was a bawling mess wondering how, in the hell, could this happen IN a hospital. Shouldn't have the nurses and doctors advised me on what to do? What to look for? What to be thinking or feeling or checking?! The reality is that being five months post-paralyzed and pregnant is a VERY rare situation. No one knew exactly what to do or to expect. Hindsight is 20/20. Obviously, now I would know a lot more of the answers and of the "What to Expect When You're Expecting and Paralyzed"! It was pure craziness! I would have been sitting there with the gown at my waist and the blanket down to my knees, watching, checking, and looking NON STOP! Miraculously they were able to get her breathing and flew her to a better equipped hospital that had the specific breathing ventilator that she needed. She was in critical condition but slowly she began to improve and continued to improve. Four months later, she was home, and we began to discover what this crazy life had in store for us! We're still learning! 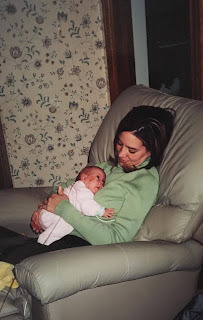 Our daughter is now 14 years old and I can't believe it! I still look at our miracle child and shake my head. How blessed and thankful we are. You just never know why things happen the way that they do, but they do. We each have a story and it's by the sharing of these stories that we remember and learn. At least that's what I've learned and tell myself! Urinary problems: Infections that occur more often and are worse than those they had before they got pregnant; need to catheterize more frequently during pregnancy than before; a bigger problem with incontinence and bladder spasms than before pregnancy. · Difficulty maintaining blood pressure. If BP was low prior to pregnancy, may become lower during pregnancy. Just a tidbit to be aware of and to monitor closely. One last story to illustrate pregnancies while being spinal cord injured demonstrates that being SCI doesn’t always equal complications, just as abled-bodied women may experience complications while pregnant. 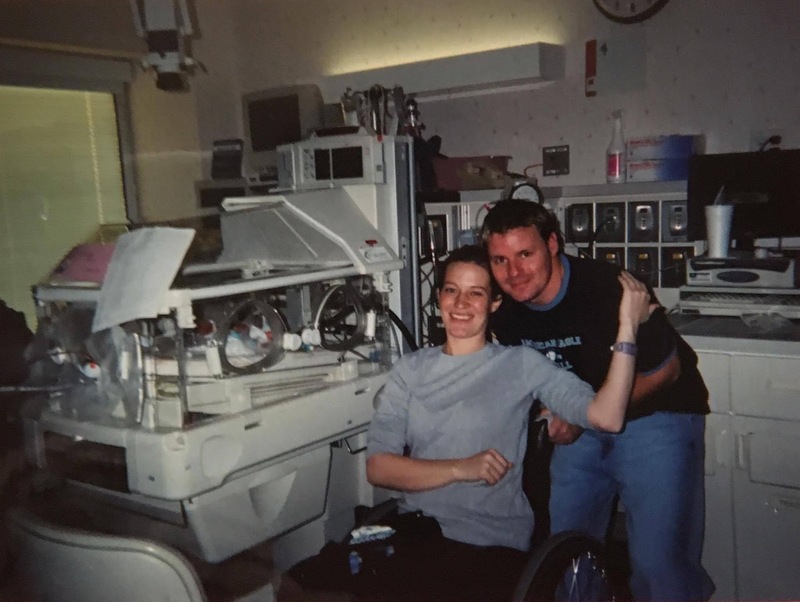 Being a Labor and Delivery RN and a Neonatal Intensive Nurse, I have seen my share of unforeseen difficulties with women who were able to walk and delivering a baby. The most pressing question that I had for my doctors, was about pregnancy. I was 18 and being a mom was incredibly important to me. I couldn’t imagine not experiencing pregnancy. Let’s fast forward 5 years and I was pregnant for the first time. I didn’t know any other mothers in wheelchairs. I found an amazing doctor, but I was his first SCI pregnancy patient. The entire pregnancy was amazing and uneventful. I felt the baby kick around 14-16 weeks. We didn’t take any special precautions. As I neared the end of my pregnancy, we discussed delivery. I had titanium rods and couldn’t bear down while lying down. I had huge concerns that I would try pushing and not be able to deliver vaginally. We opted for a medically necessary cesarean. I would go in fresh and I would know exactly what was going to happen. The only glitch we had been with my epidural. We suspected it wouldn’t work and it didn’t. I have just enough feeling in my lower abdomen that we would have to use general anesthesia. This meant my husband had to wait outside the door. They handed him the baby within minutes and I was nursing less than 30 minutes later. My second pregnancy was identical to the first, except for a placental abruption that wasn’t related to the SCI. I saw a high risk doctor for my 3rd pregnancy because of the prior abruption. He didn’t feel it was necessary but my regular OB/GYN wanted the extra set of eyes. The entire pregnancy was uneventful. My water broke at 37 weeks, just 2 hours before my scheduled cesarean section. We were planning an early delivery after an amniocentesis showed fully matured lungs. (Amniocentesis is a procedure in which a sample of amniotic fluid is obtained to be tested to determine whether the baby's lungs are mature enough for birth). I had the amniocentesis because I started to feel “off” and we wanted to prevent a second abruption. I would have to say all 3 pregnancies were incredibly normal. Reread the last sentence………..INCREDIBLY NORMAL pregnancies. ALL THREE. But if pregnancy doesn’t appeal to you as a paralyzed woman, there are other alternatives. ADOPTION……there is a ton of information on this topic. Each state has different rules and regulations, so explore your state’s rules for adoption. During my investigation, I happened upon this website http://www.adopting.org/. This source provided information for those seeking to become adoptive parents in the U.S., Canada, and around the world, information about who can adopt; the home-study, procedures, terms, options, and costs, types of adoption, open adoption, agencies, facilitators, and professionals for domestic and international adoptions. Do your homework on agencies. SURROGACY is another way to become a parent. There are two types of surrogacy: traditional surrogacy and gestational surrogacy. In TRADITIONAL SURROGACY, a surrogate mother is artificially inseminated, either by the intended father or an anonymous donor, and she carries the baby to term. The child is thereby genetically related to both the surrogate mother, who provides the egg, and the intended father or anonymous donor. In GESTATIONAL SURROGACY, an egg is removed from the intended mother or an anonymous donor and fertilized with the sperm of the intended father or anonymous donor (2014). Investigate the topic. Each state has their own regulations on the subject. Again, do your homework on the matter. However you decide to expand your family, remember there are many ways to add that tiny bundle of excitement. Investigate for yourself and enjoy the process of choosing the option that works best for you!! Overview of surrogacy process. Obtained October23, 2014 from http://www.hrc.org/resources/entry/overview-of-the-surrogacy-process. 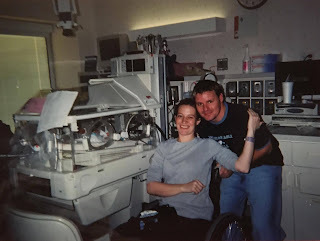 Pregnancy after spinal cord injury. Obtained November 1, 2014 from http://pvadev.com/pn/article/4570/pregnancy_after_spinal-cord_injury. Pregnancy and women with SCI. Obtained November 2, 2014 from http://www.spinalcord.org/resource-center/askus/index.php?pg=kb.page&id=1586. Spinal cord injury facts and statistics. Obtained November 4, 2014 from http://www.sci-info-pages.com/facts.html. Welcome to pregnancy and women with spinal cord injuries (2010-2011). Obtained October 28, 2014 from http://scipregnancy.sci-health.org/. 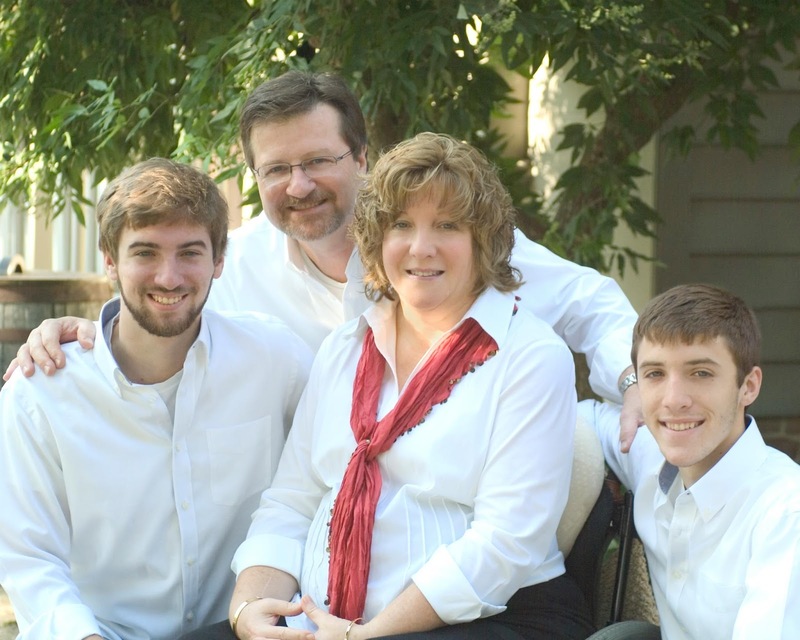 Patty Kunze has been a Registered Nurse since 1983. She holds a Bachelor’s of Science Degree in Nursing and worked several years in a Spinal Cord Injury Unit at the local Veterans Administration Medical Center as a new graduate. She later became a flight transport nurse for Neonatal Intensive Care, an assistant manager of Labor and Delivery, and eventually an instructor of nursing students. In 2009, she was involved in an auto accident which left her paralyzed (T3-4 complete paraplegic) from chest down. But she continues her nursing career while sitting in her wheelchair as a nurse paralegal and writing articles for others with spinal cord injuries as The Rollin RN ™. She has been married since 1989 and they are proud parents to two sons. This article was originally published on PushLiving.com and with but was modified to include additional information.